Key West Art & Historical Society helps catapult America’s favorite citrus celebration – the Key Lime Festival – into the limelight on Saturday, June 30 from 11:00am-2:00pm with the second annual Key Lime Pie Drop contest and party at the Key West Lighthouse, located at 938 Whitehead Street. Those with a taste for engineering adventures are invited to enter for a chance at fame, fortune, a trophy, and a crisp $100 cash prize. Food vendors, a full bar provided by Tiki House Key West, hot tunes by Soundwaves’ DJ Top Jimmy, SnoCones, a kids’ zone with face painting and giant water slide, and loads of limey fun for all ages round out the kick-off competition event! 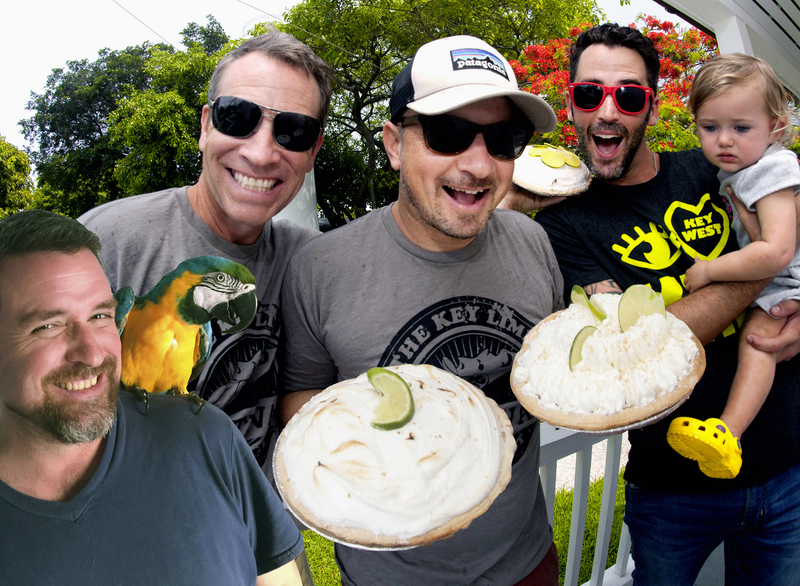 Key Lime Festival producers David Sloan and Marky Pierson have once again partnered with Key West Art & Historical Society to offer the free Pie Drop from the iconic 73-foot lighthouse. Together they invite Key West’s most creative minds to attempt to outsmart gravity by finding a way to drop a Key Lime Pie from the top of the historic Lighthouse to the ground, without damaging the dessert. There is no fee to enter and The Key West Key Lime Pie Co. will provide a 5-inch diameter pie. The challenge for competitors is to (in advance) create a device or container to protect the pie, deliver it to the targeted area below and keep it from exploding on impact. Sloan and Pierson will open the event with a ceremonial pie-drop at 11:00am, with registered contestants gathering at high noon to begin dropping their pies from the lofty Lighthouse platform to the target below. Points will be awarded based on factors such as where and if you land on the target and the condition of the pie when it lands. Additional trophies will be awarded for “Most Creative Design,” “Best Decorated,” and “Best Key Lime Theme.” Costumes are encouraged for contestants and spectators alike. To secure your free entry and pie for the contest, register at keylimefestival.com. Drop a pie or just enjoy the spectacle from the ground in your favorite key lime costume, The Key Lime Kick-Off Party & Key Lime Pie Drop is a perfect day of food, fun and friends, and an event you don’t want to miss. Sponsored by Key West Key Lime Pie Co Southernmost Beach Café, Keys Auto Center, Tiki House Key West, Key West First Legal Rum Distillery, The Southernmost Scavenger Hunt, Charlie Mac’s, Eden House, Steve’s Authentic Key Lime Pie, and Amsterdam’s Curry Mansion Inn. Visit Keylimefest.com for rules and a full schedule of other events slotted for this year’s fest, or call Society Events Coordinator Dani Holliday at 305.295.6616 x 114. Your Museums. Your Community. It Takes an Island.